Darke County Parks will host an egg dyeing program at 1 p.m. April 13 at Darke County Parks’ Bish Discovery Center. Mara Cox assists Trevar Martin in dyeing eggs at last year’s event. 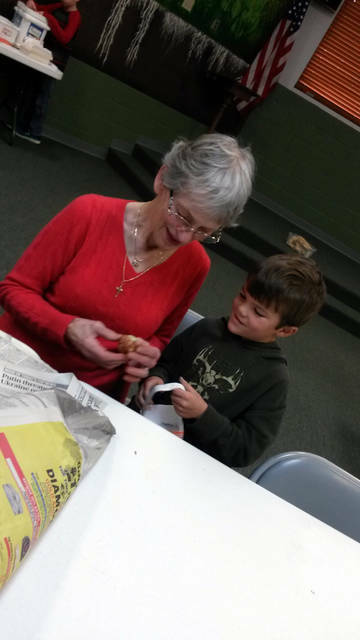 DARKE COUNTY – As it has annually for the past 18 years, Darke County Parks will welcome park volunteer Mara Cox for Easter egg dyeing, naturally. The program will take place at Darke County Parks’ Bish Discovery Center at 1 p.m. April 13. 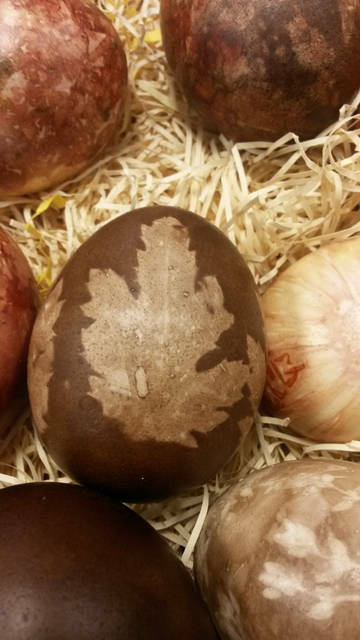 Cox will share her Latvian heritage of using onion skins, flowers, leaves and water to create one of a kind eggs. The possibilities are endless. Registration is required, and there is a fee of $2 per person. Individuals can register by visiting http://www.darkecountyparks.org/programs. For any questions regarding this program or future programs and events, call 937-548-0165.